Brother Jesse Blog: NAACP hosting 103rd Annual Convention in Houston: "Your Power, Your Decision. Vote!" 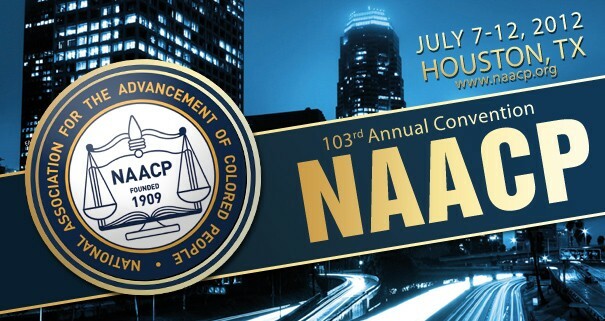 NAACP hosting 103rd Annual Convention in Houston: "Your Power, Your Decision. Vote!" "We are excited to hold this year's convention in Houston," stated NAACP Chairman Roslyn M. Brock. "In this election year it is especially important for us to come together and discuss the challenges facing communities of color and the nation as a whole. As we tackle important issues like health care, education or civic engagement, we must have hope and remember that we cannot fully recover as a nation unless we lift up every boat. The NAACP will continue to educate, mobilize and agitate to create an informed populace, so that every American feels they have the privilege and the power to go to the ballot box and exercise their right to vote." The convention arrives as new laws restricting access to the ballot box and racial profiling programs like stop-and-frisk dominate the headlines. The NAACP, the nation’s oldest and largest civil rights organization, will adopt a policy agenda to advance civil rights for all people. Convention speakers include actors, established and emerging civil rights leaders, elected officials, and faith-based leaders. On Monday, July 9, NAACP President and CEO will deliver the keynote address at the First Public Meeting of the 103rd NAACP Annual Convention. Additionally, as part of its historic relationship with the electoral process, the NAACP has invited the presidential nominees from both major parties—Democratic nominee President Barack Obama and Republican nominee Governor Mitt Romney, who has already confirmed. Vice President Joe Biden will address the convention on Thursday, July 12th. The Vice President will keynote the convention’s final plenary session, scheduled for 9:30 am to 12:00 pm CDT. Attorney General Eric Holder will deliver remarks during the Clarence Mitchell Memorial Lunch on Monday, July 9, 2012, at 1:30 p.m. EDT/12:30 p.m. CDT. The NAACP Annual Convention has been held in Houston three previous times (1941, 1991, and 2002). In addition to the primary NAACP event schedule, The NAACP’s Youth & College Division will host workshops, luncheons and forums throughout the week; including, a Great Debate series competition. Cosponsored by Starbucks, the debate will feature student debate teams from Wiley University and Harvard. The convention will also spotlight emerging youth from across the nation in the Academic, Cultural, Technological and Scientific Olympics, or ACT-SO, competition. The competition will be held July 56, with students competing in 26 ACT-SO categories, including sciences, humanities, performing arts, visual arts, and business over the course of the event. Famed ACT-SO alumni include musician Kanye West, actress Jada Pinkett-Smith, filmmaker John Singleton and comedian Anthony Anderson.